Tout la mémoire du monde has been restored subsequent to its inclusion of the SC release of Last Year in Marienbad, so hopefully the BFI use the newer master. 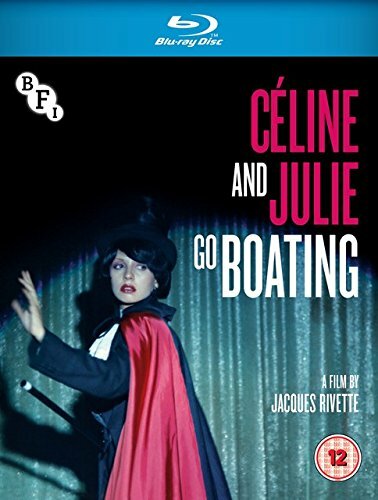 Has there been any official word from the BFI that Celine and Julie is really getting a Blu release? I can get a pretty good price for the DVD right now, but I hate to part with it until I know for sure, and I don't always trust Amazon pages before official announcements. Adrian Martin is recording the commentary at the present! Great! A nice contrast to the DVD cover, now. yikes... not a fan of that! Shouldn't this go in the Worst Covers thread? Reminded me of the Bridget Jones posters right away for some reason. Eh, I like it. The magician cover is played out, and this makes them look like they're boating the streets of Paris. I like the new one better as well. Plus, Dominique Labourier is on the cover now too! ^I think that's the original poster. is it also colorized from that b&w photo? dear god. what are the odds BFI would include a reversible sleeve? pzadvance wrote: what are the odds BFI would include a reversible sleeve? Looks like one will need to slip in a home-made replacement cover. Just ghastly (including the typography). Where is peerpee when we (desperately) need him? The French DVD cover was MUCH better. 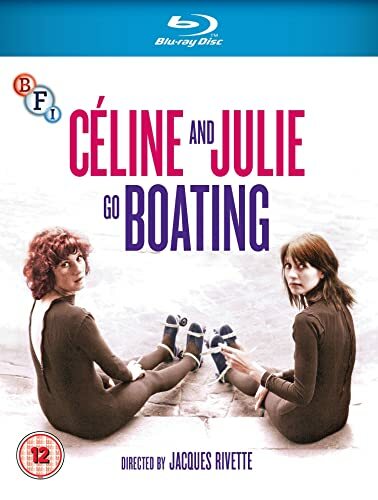 Céline and Julie Go Boating, Jacques Rivette’s biggest commercial hit, is an exhilarating examination of the themes of theatricality, paranoia and la vie Parisienne, all wrapped up in an extended and entrancing exploration of the nature of filmmaking (and film-watching). Previously released by the BFI on DVD, it now comes to Blu-ray, in a new restoration, on 20 November 2017. Special features include a new feature length commentary by Adrian Martin. Céline (Juliet Berto), a magician, and Julie (Dominique Labourier), a librarian, meet in Montmartre and wind up sharing the same flat, bed, fiancé, clothes, identity and imagination. Soon, thanks to a magic sweet, they find themselves spectators, then participants, in a Henry James-inspired ‘film-within-the-film’ – a melodrama unfolding in a mysterious suburban house with the ‘Phantom Ladies Over Paris’ (Bulle Ogier and Marie-France Pisier), a sinister man (Barbet Schroeder) and his child. • Fully illustrated booklet with an essay by Jonathan Rosenbaum; a review by Tom Milne; interviews with Dominique Labourier, Juliet Berto and Jacques Rivette; Susan Seidelman’s reflections on her Rivette-inspired Desperately Seeking Susan; and full film credits. Beaver, transfer looks good to me. Loved Paris Nous Appartient, Va Savoir had its charms, couldn't get through Out 1. Should I blind buy this? I'm fond of Borges, Lynch, and all the themes that would go along with those two artists (parallel worlds, mysteries etc.). Yes. This is easily the most enjoyable Rivette I've seen, and everything clicks. I'd advise not using Out 1 as a barometer for judging Rivette. Yes, most of his pet themes and stylistic tics are all there, but it is an distention and distortion of those ideas to insane length. 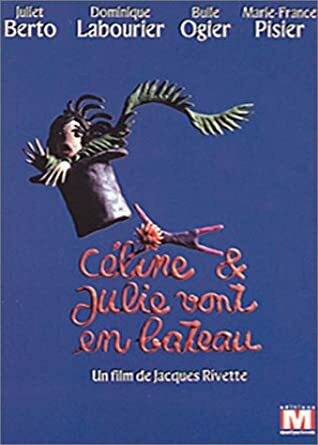 I like (not love) it, but basing expectations for other Rivette films on it is a tad like using Finnegan's Wake as an introduction to Joyce. ETA: The beaver caps look like the same DCP the briefly revived New Yorker toured a few years ago. Glad to see it finally escaped into the wild. If I can find my French DVD, I should do some screen captures. Definitely liked the French release's cover better, however.